As a seasoned professional Real Estate Sales Associate, Darlene has been providing excellent real estate services in Whitley, Allen and Noble Counties since 2001. She specializes in the areas of existing residential and lake real estate. Darlene is a multimillion dollar sales producer who has built her foundation on her professional real estate services. Previous to that she was a licensed practical nurse with Whitley Medical Association, as well as, owning and operating her own business for 24 years. These career choices have enhanced her abilities to provide knowledgeable personal service creating a reputation as being enthusiastic, ethical and loyal to her list of clientele. 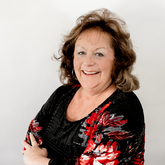 Darlene is a member of the Fort Wayne Area Association of Realtors, Indiana Association of Realtors, Fort Wayne Area Multiple Listing Service and the National Association of Realtors. Darlene received the Orizon Real Estate Top Producer Award in 2011, 2013, 2016 and 2017, along with this award, she has also been a Multi-Million Dollar Producer for over 12 years with Orizon Real Estate and in 2018 she received the Outstanding Service Award. Darlene continues to run her business on referrals. She loves the real estate business and always strives for better success. I definitely would work with Kevin in the future. He is a good sales person and I had very good service. Bill and Kay Dittlinger Brooks always answered questions promptly! Brian and Vanessa Bills Eric did an excellent job, we can't think of anything that wasn't handlesed very perofessionally and above the call of duty. Gregory and Emma Hobbs Darlene is always accessable, great at her job, even helped us after the sale of our home. Loved working with Darlene! Michael and Lynne Hoffman I loved working with Annette. She is wonderful!! Meg Kovacs Josh is very easy to deal with and explains everything so one can understand. Kathryn Loehr Jill was awesome! The perfect balance of aggressiveness and laid back communication. Christopher Banks Orizon gives 110% on helping and listening to the person!